The past few weeks have been jam-packed with stunning imagery from Saturn, delivered courtesy of the Cassini spacecraft. Now, almost as if to say “Hey, remember me?”, NASA’s Hubble Space Telescope has grabbed our attention with what is almost certainly one of the most spectacular photos it’s ever managed to capture. The photo, which was released this week, has a whole lot going on, including some tricky perspective work that, as NASA points out, really messes up the scale of everything you’re seeing. The photo you see above — available in full resolution here — shows a couple of interesting celestial sights. For starters, the colorful collection of lights on the right is a galaxy called NGC 7250 which NASA notes is extremely active forming stars and playing host to supernovas. The galaxy is made up of billions of stars, and is located over 45 million light years away, so we’re only seeing a tiny glimpse of what it has to offer. 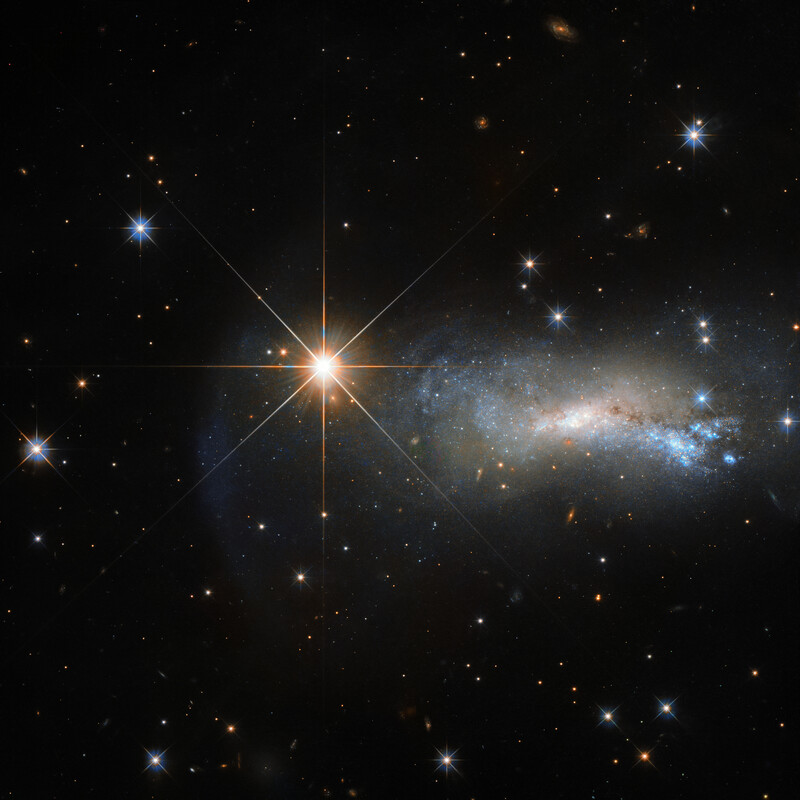 The ultra-bright star to the left of the galaxy is named TYC 3203-450-1, located in a constellation called Lacerta, which means “The Lizard.” It’s not a particularly notable star and researchers haven’t spent a whole lot of time studying it thus far, but because of its distance from Earth — roughly 1/1,000,000 the distance of the galaxy in the photo — it appears to be a much more dominating force in the sky. NASA even notes that, if the two were photographed at similar distances from our planet, we probably wouldn’t even be able to spot the star.